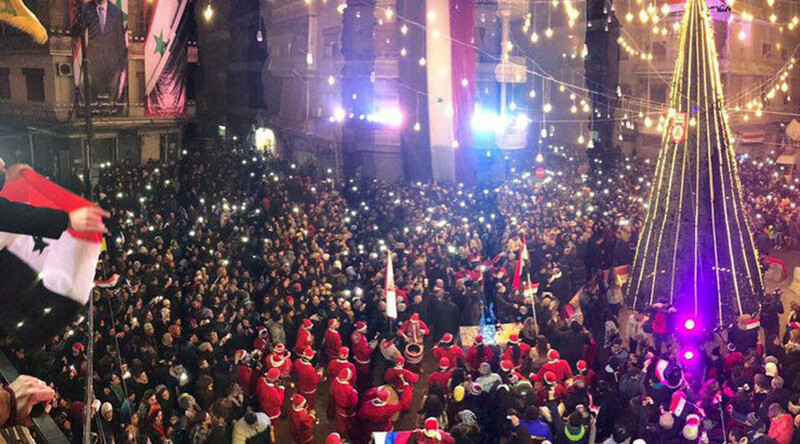 A well-attended Christmas tree-lighting ceremony in the Syrian city of Aleppo was rocked by an explosion meters away from the gathered crowd. No casualties have been reported. Phelan said that eyewitnesses were unsure if the explosion was produced by a launched mortar or a planted explosive device. Moments earlier, Azizieh square, in western Aleppo, which is under firm government control, began hosting its first Christmas tree-lighting since fighting broke out in the city in 2012.